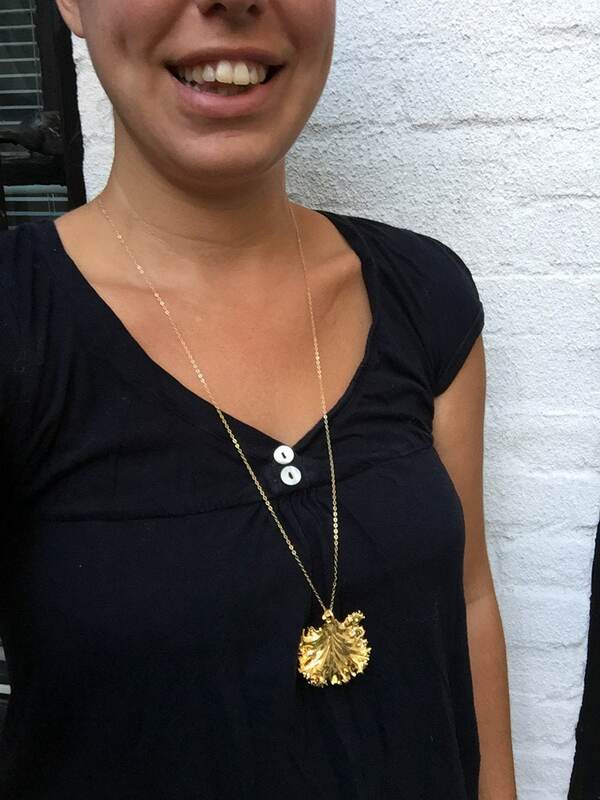 Bold and unique large 24K gold electroplated real kale pendant necklace on a 14K gold filled chain in an 18 or 30 inch length. This necklace is such a great conversation piece! 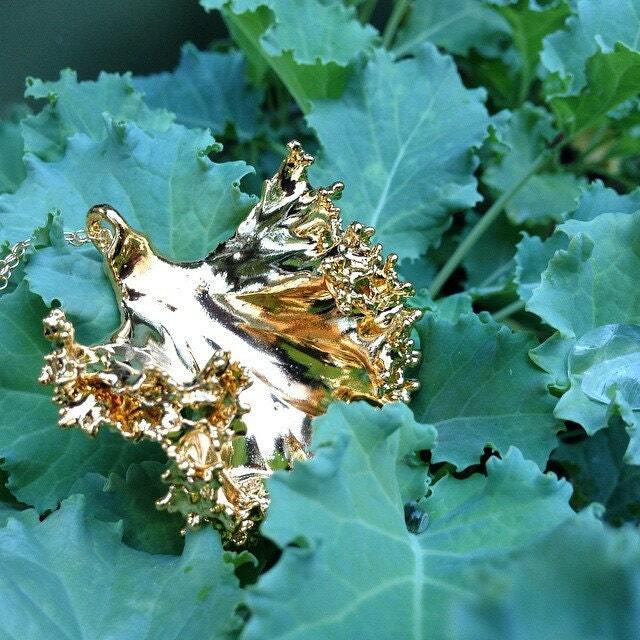 There is a real piece of kale underneath the gold plating -- don't just eat your veggies, wear them! 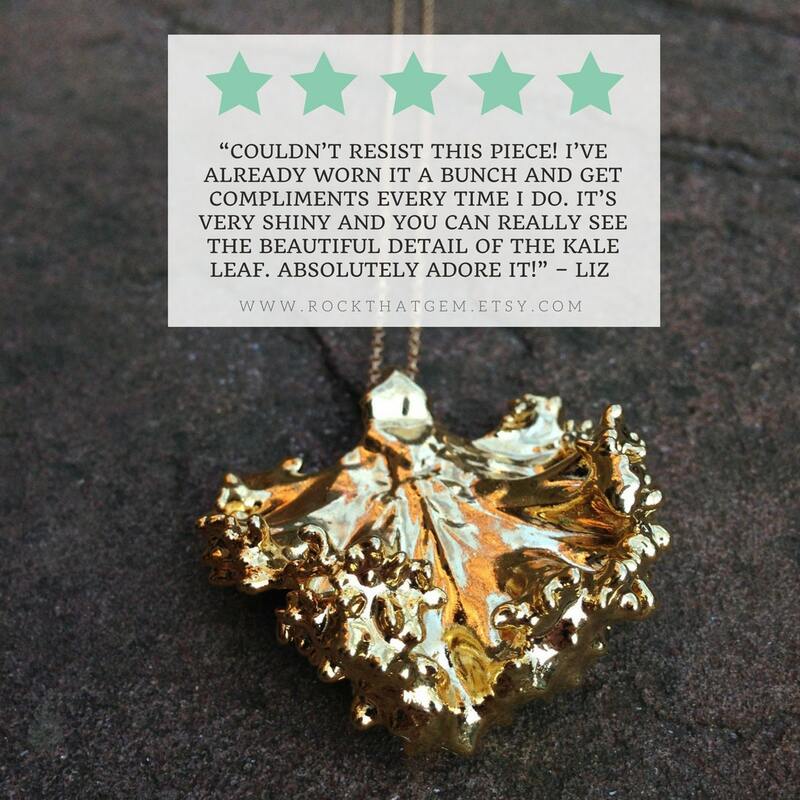 The photo is a sample -- your kale pendant will be similar and unique! Want this in a different length? A design tweak? Send me a message and I’ll do my best to make it happen! All items are packaged in a lovely blue jewelry box with a bow, whether it's a gift for yourself or someone else! A polishing cloth is included with all sterling silver orders to keep your jewelry shining. All photos are taken in natural lighting -- because these are natural gemstones, the colors of the jewelry may appear different on various computer screens. I have done my best to make sure you are seeing the true color of the stones, but there can be variations in person -- and will often look even better than expected! - Apply all body lotions, makeup, hairspray prior to putting on your jewelry. At the end of the day, remove your jewelry and gently wipe it with a soft clean cloth to remove any oils or residue. 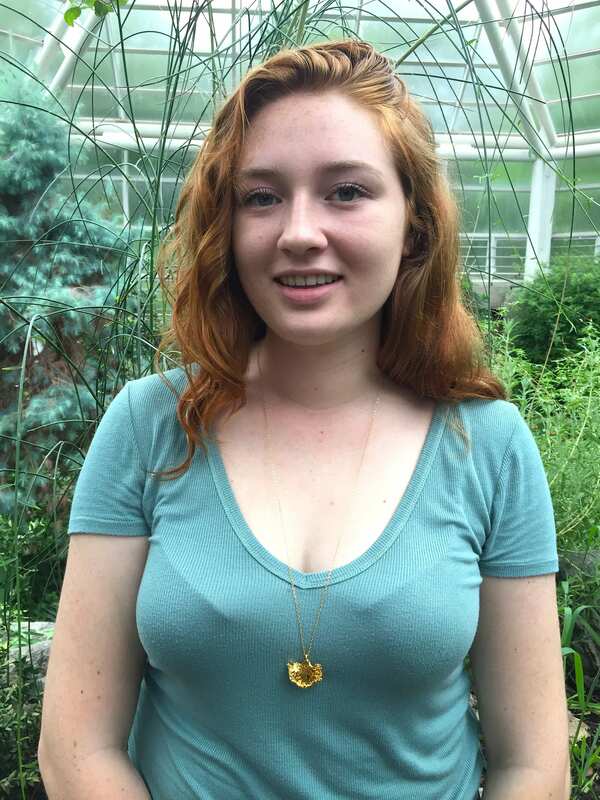 - Keep your jewelry away from water, especially chlorinated pools or hot tubs. If your jewelry does get wet, pat it gently with a cloth and lay it out to dry. - Metals, especially sterling silver, can oxidize over time. Limit their contact to the air by keeping them in their fabric-lined jewelry box or a sealed bag. Sterling silver pieces are shipped with a polishing cloth. Whenever oxidization appears, gently rub the area with the cloth to remove any tarnish. - Dainty jewelry is beautiful because of its delicate nature, and requires extra love. Avoid wearing those pieces while working out, house cleaning, etc. Have children who love to tug on your necklaces? Send me a message and I can give you options for an even sturdier chain! Great piece and hard to miss when wearing it! So fun to show this kale to my vegetarian friends! Absolutely lovely! 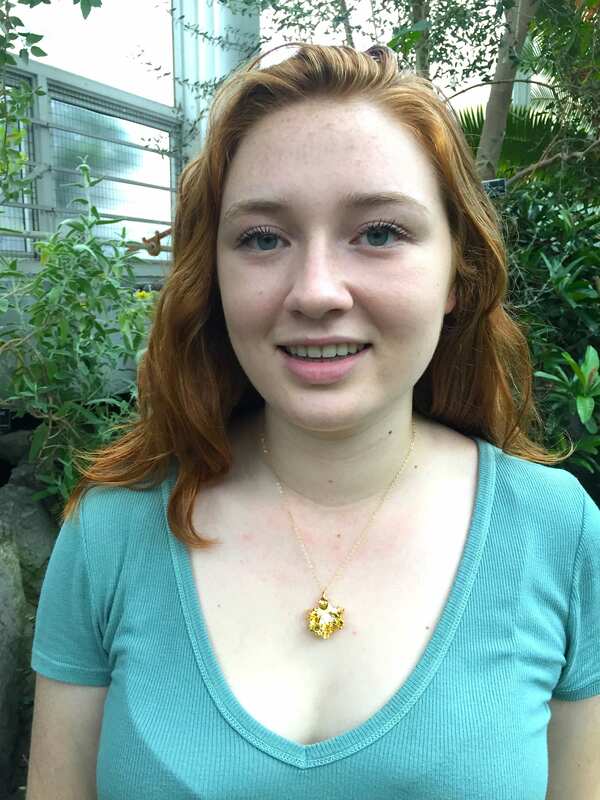 Thank you so very much for posting it quickly, I know my Mom will adore this unique and well made necklace! Excellent communication with the seller as well - I would buy from RockThatGem again. Love it - arrived quickly too! my favorite necklace I've ever owned. shipped on time.